I strongly think we need to get back the creative mindset that helped us select our flag and compose our national anthem. It's becoming very shameful that all we do now is to look for the American equivalent and do a mindless low-level imitation. We took Hollywood, knocked off the H with an N and called ours Nollywood. We took CIA in 1986 and by a similar process arrived at calling ours NIA. Took FDIC and coined NDIC. FCC to form NCC. FEMA to NEMA. It's amazing how we have dropped in national creativity. Even the countries we look up and are way more developed than us, when they had to pick a flag most of them simply modified that of their former colonial master. So many countries flag have a British element, the union jack, in them. Yet in those dark days of our gaining independence we came up with a completely different and creatively simple design. We didn't modify UK or US' flag. Even our national anthem has it's very unique and melodious tune, not a remix of that of the US or UK. But somehow we have lost that national creativity. We are now so intellectually lazy (as a nation) that we can't even pick a unique name for whatever we are setting up. And even more annoying is that we can't seem to effectively copy beyond the names. All our technology transfer/acquisition ends at name copying. The website of NIA is not safe to visit as it has an invalid certificate (Google Chrome won't even let it load). Then when you ignore the warning and force your browser to load the website you see a website that no one should have accepted from whomever designed it, let alone pay to have such a website. It portrays the nation's foreign intelligence agency as a childish organization. I went further to read up on how NIA came into existence. It was setup by Ibrahim Babangida in 1986, alongside two other sister agencies, to replace the National Security Organization. It is responsible for foreign intelligence and counterintelligence operations (spying). 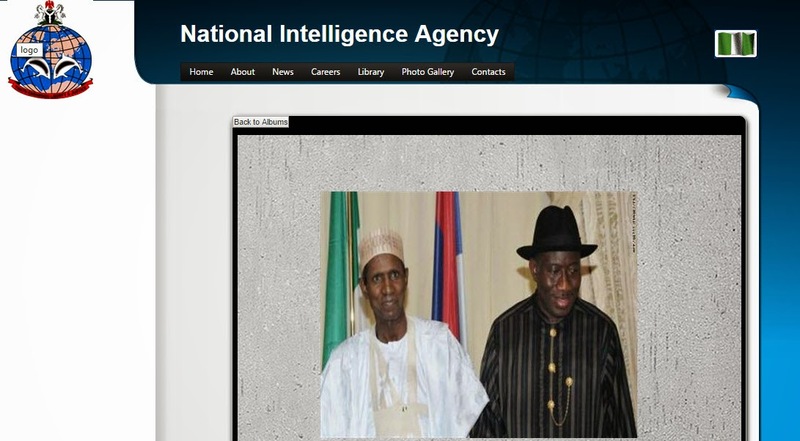 They should be providing the Nigerian government with intel on the foreign partners of Boko Haram. And maybe they are and the government hasn't been working on the intel or they have been providing noisy weak intel. Either way we seem to have an intelligence agency that is a blot on the intelligence world. Their name is not original, their website is not fit for the internet, their activities are unknown, their impact is unfelt and they do not inspire any Nigerian youth. Think of CIA, MI6, Mossad and SVR. They make our NIA look like a damned retard. Hello Michael, but do you have any information on joining the NIA? thanks.